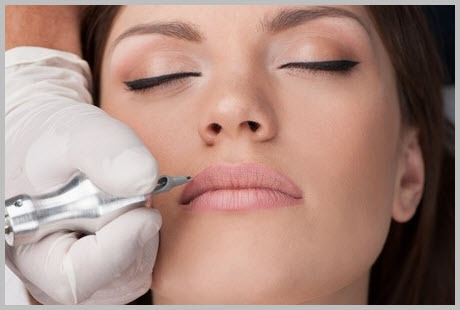 Also known as micro-pigmentation, semi permanent makeup procedures have been successfully undertaken for many years by both celebrities and busy women creating makeup looks that lasts. Pigment is implanted into the dermal layer of the skin using a state of the art machine designed specifically for the cosmetic and medical market, which is very different to conventional machines and inks used in regular tattoo clinics. The treatment lasts around 3 – 5 years and are carried out in accordance to strict health and safety protocols using single use sterile needle cartridges. Semi permanent makeup and who benefits? For perfectly balanced and shaped eyebrows, for a lipstick that stays put and for non-smudge eyeliner semi permanent makeup is every woman’s answer. Coloured pigments are implanted into the skin to replicate makeup that last 24/7, creating beautiful and fresh makeup looks that last all day every day, slowly fading with time. Whether you are 18 or 88 we have a treatment that will not only simplify your makeup routine but improve your confidence, self-esteem and look. We aim to create a subtle change that will have your friends guessing your newest beauty secret – what’s not to like? To book your free consultation complete our contact form.